The ups and downs of everyday life affect your athletic performance. Training your mind as well as your body can keep your performance consistently strong. Developing mental toughness is one of the top challenges for athletes. As sport psychologists, we train you in the skills necessary to rise above performance struggles. We help you go from fear of failure to embracing the process, regardless of the outcome. We have expertise in mental health and performance psychology. Sports psychology understands the demands of the unique athletic culture. We can provide athletes with tools to maintain good mental health, manage stress effectively and build quality relationships, which can improve your performance on and off the field. We base our services, timing and pricing on a thorough assessment of your needs and performance goals. We recognize that personal concerns can influence athletic performance. We specialize in assessing and treating those elements that extend beyond the playing field. Confidential individual or group counseling can address issues related to relationships, anxiety, depression, injury rehabilitation, stress management, grief or loss, trauma, identity, adjustment, body image and substance abuse. We consult with coaches, athletic trainers, physicians, professional athletes/teams and others regarding performance and personal issues. Consultation ranges from team-building exercises to approaching an athlete about a mental health problem. One-on-one or group mental skills training includes goal-setting, relaxation, imagery, focus, motivation, coping with pressure, confronting fear, slump-busting, energy activation, team cohesion, self-talk and pre-performance routines. With these tools, you'll be better equipped to achieve your goals and stay ‘in the zone’ in your performance domain. 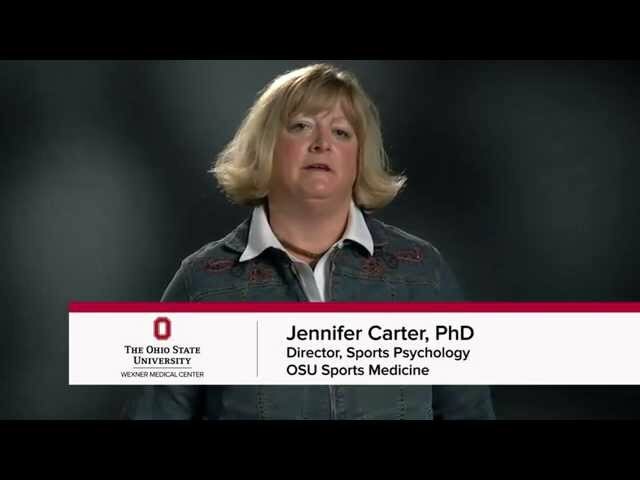 Why choose The Ohio State University Wexner Medical Center for sport psychology? As the providers for more than 5,000 central Ohio competitors and performers, including sport psychology consultation for Ohio State’s athletes and varsity teams, we have an in-depth understanding of high-pressure athletic environments. 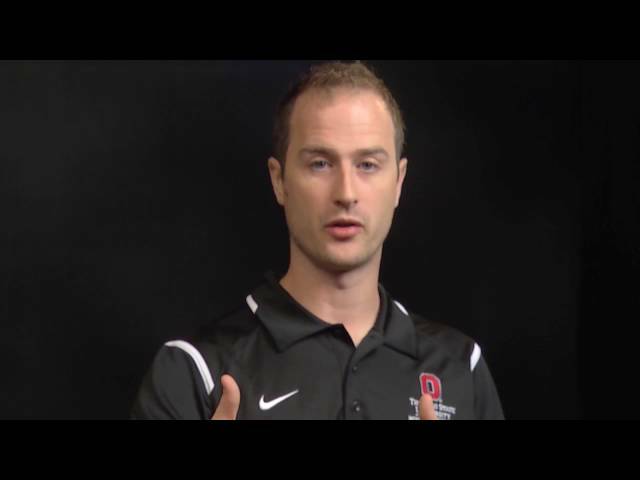 Sport Psychologist Dr. Jamey Houle breaks down the stigma of seeking counseling with a simple explanation of how seeking professional help with our mental game has the positive effect of creating strategies that make us happier. Schedule an appointment with Ohio State Sports Medicine by calling 614-293-3600. Dr. Steve Graef shares tips on getting "in the zone" - more simply stated: a culmination of certain skills and mental strategies that allow you to perform at your very best, from managing our energy to our self-talk. Dr. Jen Carter discusses strategies and skills for getting better sleep, as ultimately, it could be one of several factors affecting your athletic performance. Dr. Steve Graef addresses the most common struggle that athletes, and non-athletes face every day: anxiety and stress. Sport Psychologist Dr. Jamey Houle shares his top tip for how to reduce stress in our lives. Dr. Jen Carter shares how the benefits of sport psychology extend beyond office visits and to the sideline. Our experts attend practices, meet with coaches and even consult with school administrators.